Originally from Brighton, England, Bob Buckley moved to Vancouver as a teen, already well adept at piano and several different horns. After studying at the University of Washington and UBC, he landed a regular gig in the mid '60s as a studio musician on the Vancouver edition of the TV series "Let's Go." 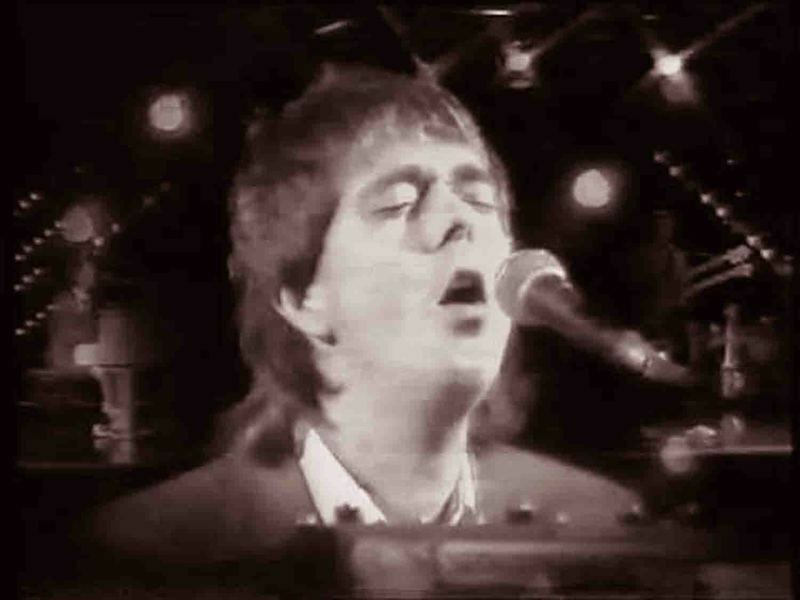 When that show had run it's course, he became an accomplished session player, having worked on a number of projects, where he met fellow musician David Sinclair, also an accomplished session man.They decided to form their own group, and with Buckley on keyboards and horns and handling lead vocals and Sinclair on guitars, they formed Spring, which produced one single. 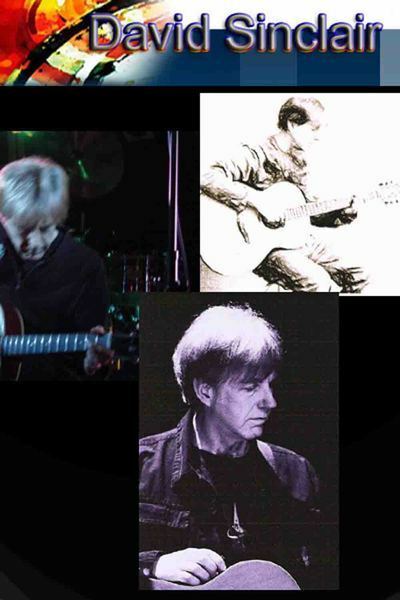 Wanting to go more mainstream, they folded the group and placed ads in the local papers and Dogstar was soon rounded out with bassist Peter Clarke and Daryl Burgess on drums. Before long they'd added Peter Padden as a. second drummer/percussionist.By '79 they'd become a staple on the West Coast club scene and caught the attention of Bruce Allen, manager of such acts as Prism and Bryan Adams (and a. gazillion others over the years). Allen got them an audition for CBS/Epic Records representatives, who signed them to a deal and convinced them to change their name.They spent the first part of 1980 working with Howie Vickers (Collectors, Chilliwack) on material. With the production team of Jack Richardson (The Guess Who) and Martin Shaer (Sweeney Todd), they laid the foundations to their self-titled debut album at Little Mountain Sound Studios in Vancouver, released that fall. Slick production and straight forward pop powered the album, and the first single, the lead-off "Heads Are Gonna. Roll" was released to little fanfare. However it's successor, "Roanne," cracked RPM Chart's Top 100 while the band toured across Canada, opening shows for Prism and Klaatu. "The Things You Didn't Do" was next up, also charting on RPM's Top 100.While working on their follow-up, they trimmed the fat and Padden and Burgess were replaced by new drummer Geoff Eyre. Burgess would go on to a. short-lived solo career with MCA Records. The majority of the new material were Buckley/Sinclair compositions, and with new producer Jeffrey Lesser, they returned to Little Mountain with the intention of making a. more accessible record, with additional recording at Mushroom Studios. RUN FOR COVER was released in the summer of '81 to a slightly better response, and things looked promising. The first single, "Letting Go," broke the Top 10 on Billboard's Canadian chart, and "There Are No Secrets," backed by the previously unreleased "Te Laisser Faire" made RPM Chart's Top 40, and earned them a Juno Award nomination for Composers of the Year, eventually losing out to Loverboy's duo of Mike Reno and Paul Dean for "Turn Me Loose." But when the third single, "Illusions," featuring Sinclair on lead vocals failed to follow suit in the spring of '82, label execs lost interest, and before the end of the year the band had called it quits.Following the breakup, the members drifted off to do their own thing, most notably Buckley and Sinclair. They continued their collaberative efforts and formed Body Electric for a string of records on Attic Records. Once that group had run its course, Buckley continued working with other artists, writing and publishing for Bryan Adams, Celine Dion, Our Lady Peace, Simple Plan, Aerosmith, and others. Along with working with the Edmonton and Vancouver symphony orchestras, he also composed two musicals for the Charlottetown Music Festival, and has scored several TV prorams and movies, including Reboot, Transformers, Shadow Raiders, Casper's Haunted Christmas and Scary Godmother 1 and 2. Now this is a very special post here from a band not much known by AOR fans, but a personal '80s favorite to me: STRAIGHT LINES. 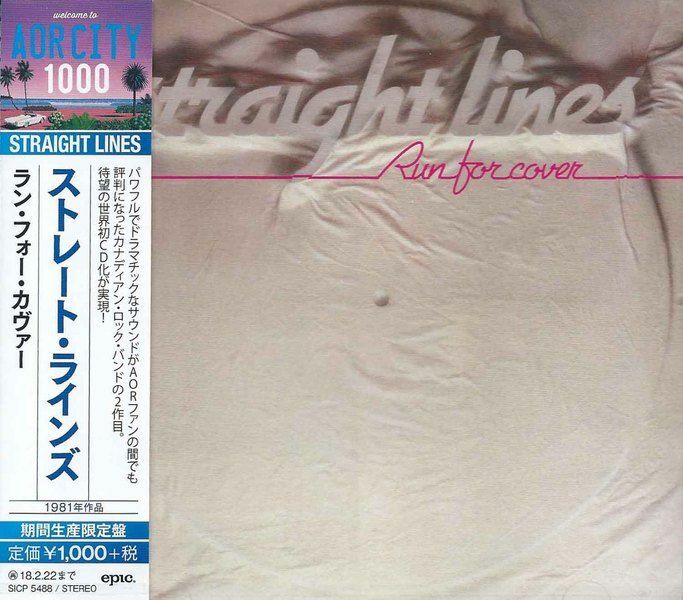 From the great Sony Music Japan campaign AOR CITY Series Vol.2, a low-priced remastered reissue on 100 classic AOR / AC albums from their back catalog (many of them out of print or hard to find) here's STRAIGHT LINES second and final album "Run For Cover".This Canadian outfit was founded by seasoned studio musicians David Sinclair and Bob Buckley, whom recorded for many well known artists.The band originally gained popularity under the name Dogstar and attracted the attention of CBS Records in Toronto. The label loved the act (and the songs) but not the name so it was effectively changed to STRAIGHT LINES.After a succession of songwriting episodes with Chilliwack's Howie Vickers, the band went into the studio with producers Martin Shaer (Sweeney Todd) and Jack Richardson (Guess Who) to lay down tracks for their self-titled debut which featured two singles - "Heads Are Gonna Roll" and "Roanne" (both made the Top 100 in the Canadian Rock chart).To present the album, STRAIGHT LINES hit the road in 1981 with another Canadian awesome AOR act, Prism.For the second album, this "Run For Cover", with new producer Jeffrey Lesser (Pat Travers, Head East) and engineered by a young Bob Rock (Motley Crue, Aerosmith), STRAIGHT LINES returned to Little Mountain with the intention of making a more radio-ready, catchy accessible record.The band played here a combination of Melodic Rock / AOR very much of its era (first half of the 80s) with a pristine sound and refined arrangements.Since the start with title track, you are taken back to an era where melodic guitar riffs, splashes of keyboards / synths, vital harmonies and smooth vocals were the rule.To give you an idea, think Bob Kulick's BALANCE (album In For The Count), PREVIEW, Peter Beckett / PLAYER's more AOR side circa the album Spies Of Life, i-TEN... you get the picture.Things looked promising for STRAIGHT LINES. First single, the catchy 'Letting Go' broke the Top 10 on Billboard's Canadian chart, and synth-filled 'There Are No Secrets made RPM Chart's Top 40, and earned them a Juno Award nomination for Composers Of The Year, eventually losing out to Loverboy's duo of Mike Reno and Paul Dean for "Turn Me Loose. "But when the third single 'Illusions', featuring Sinclair on lead vocals failed to follow suit in the spring of '82, label executives lost interest, and before the end of the year the band had called it quits.Buckley and Sinclair went on to form another great Canadian act; Body Electric.I love STRAIGHT LINES "Run For Cover", a true early '80s albums plenty of elegant melodies and that unique Canadian touch.Finally we have a superb remaster on this beloved album. The sound quality and manufacturing from this Japanese AOR CITY Series Vol.2 is excellent.Hurry up, it's available for a limited period of time until the end of 2018, sold at a really affordable price. Please my link you can´t spread further and don´t upload to other hostings!!! Remember! if You like the release, buy the original CD. Support the artists! Please when You buy a premium account, You can support our work, You can do parallel downloads with unlimited speed and never waiting. Cuando usted compra una cuenta premium, Usted puede apoyar nuestro trabajo, usted puede hacer descargas paralelas con velocidad ilimitada y nunca espera. Návrat na "NOVINKY 2017 / NEWS 2017"